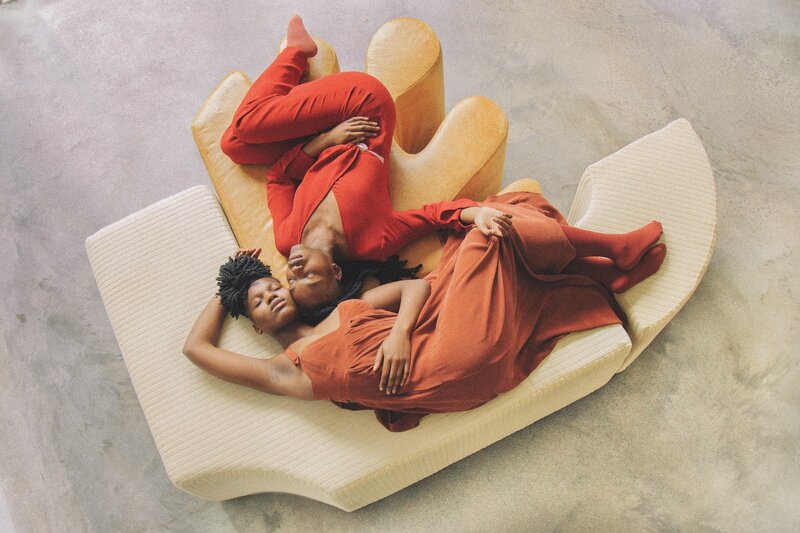 Large abstract forms zigzag, curve, and tumble in captivating shades of ochre, ivory, and powder blue, like oversized building blocks, in Kusheda Mensah’s debut furniture collection. 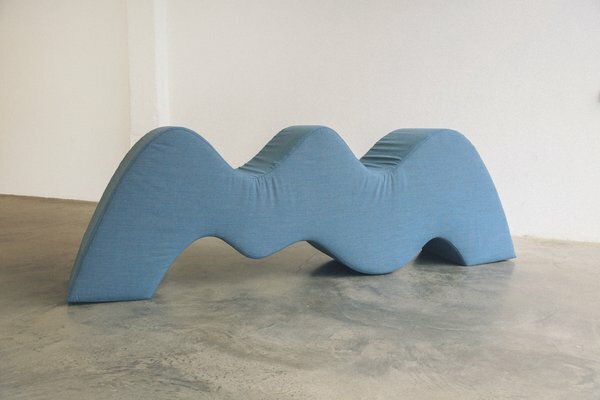 Mutual, released this year, is a 20-piece set of modular upholstered seating that invites playful experimentation and promotes interpersonal connection. 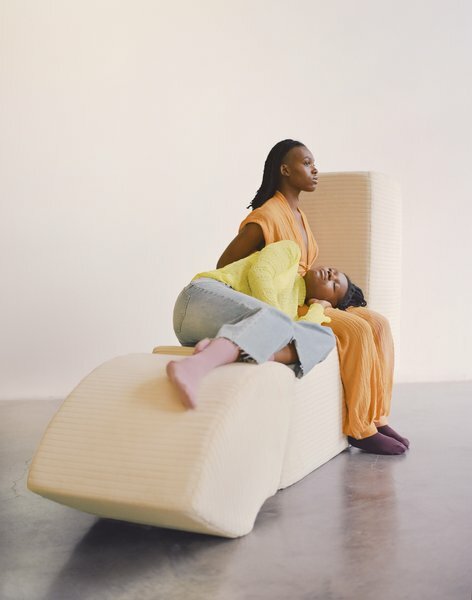 This is what the Ghanian-British designer hopes all her work will inspire. 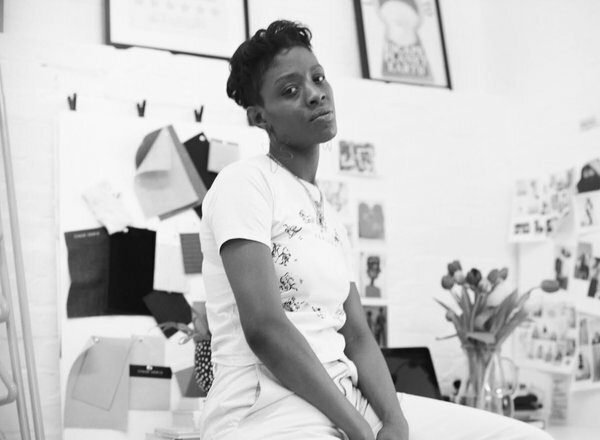 Mensah, 27, holds a degree in surface design from the University of the Arts, London, and works both independently and collaboratively from her studio in East London. We asked the breakout designer about who inspires her, her most treasured possession, and what daily rituals get her in the zone. Read the answers below. “I want my pieces to encourage human relationships and socialization,” says Mensah, who is troubled by the rifts social media has caused in how we bond. Something you always carry with you: My Aesop Resurrection hand cream. First childhood memory related to design: First ceramic pot I made and painted. Daily ritual to get into a creative space: Putting on Bossa Nova, I dunno why but it just gets me in the zone. Musical artist or album that inspires you: Cleo—Charlotte Dos Santos. Person you most admire: My mother—maybe basic and cliché but true, she’s sacrificed everything so I can have a better life.